–Guardian Plan application is officially launched NOW! Anyone who is interested in joining the plan is required to complete the form (https://goo.gl/forms/UcV9vgee6LnZ4hbG2 ). QuarkChain team will respond to the application within 3 business days. –Staking QKC for votes starts on March 20, 2019. Early bird rewards will begin to calculate on the same day. –The voting process (Term I) will open on early April, 2019. Staking QKC for votes will be continuing at the same time. The exact starting date for voting will be announced officially later. –Term I Aegis Guardians application will end on April 25, 2019. Applicants who miss the deadline will be considered as the candidates for Term II. –Phase I Elf Guardians application will end on April 29, 2019. Applicants who miss the deadline will be considered as the candidates for Term II. 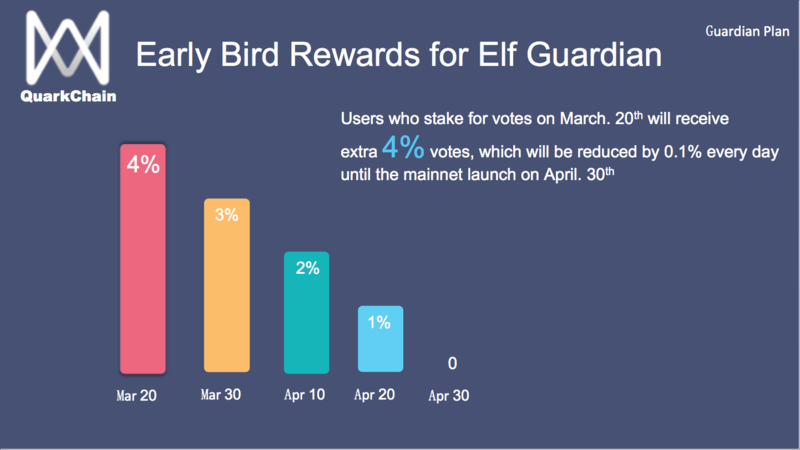 –The voting process will finish on April 30, 2019 when the mainnet launch. 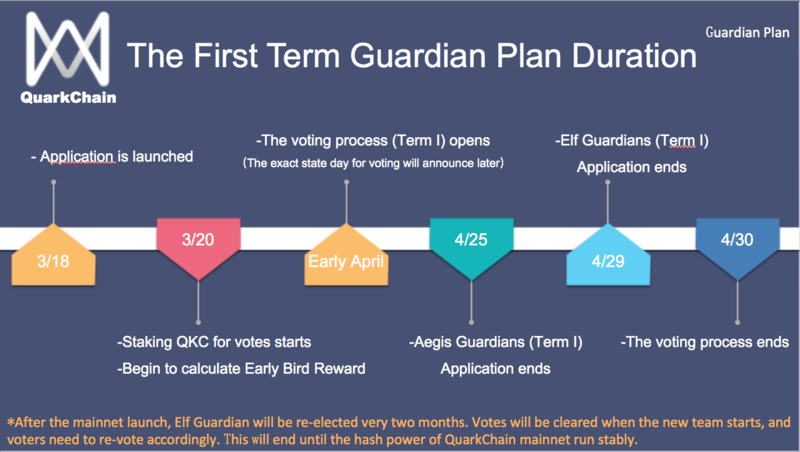 Elected guardians will be announced within one week by QuarkChain team, or one can check all the details by visiting the official website.